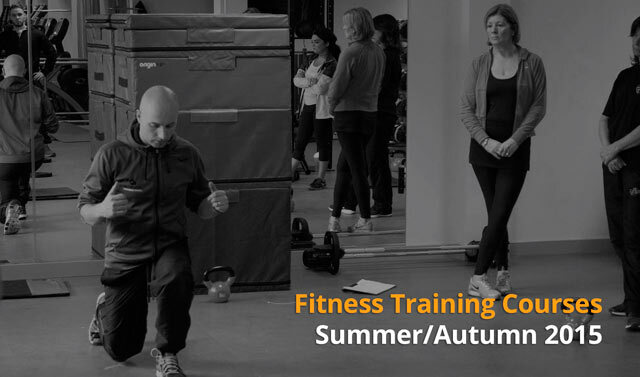 Origin Fitness is delighted to announce the addition of six new dates to our 2015 Training Academy calendar. These six REPs accredited fitness training courses will be delivered by our experienced instructors Paul Murphy and Allan Collins, in partnership with Quantum HFE at our Edinburgh Training Academy through Summer and Autumn 2015. The aim of our Functional Training Workshop is to provide a comprehensive practical overview for fitness professionals about the background, science and application of functional training methods. The aim of our Sandbag Training Workshop is to provide a comprehensive practical overview for fitness professionals about the background, science and application of sandbag training. The aim of our Olympic Weightlifting Coach is to provide a comprehensive practical overview for fitness professionals about the background, science and application of Olympic Weightlifting techniques. Our Self-Myofascial Release with Foam Roller Course will teach you all of the required safety and contraindications plus the considerations, the theory of Self-Myofascial Release and its applications. The aim of our Kettlebell Instructor Certification is to provide a comprehensive and practical training course for fitness professionals of the background, science and practical application of Kettlebell training. The aim of our Kettlebell Advanced Training Progressions Workshop is to provide kettlebell-qualified fitness professionals with an overview of how to progress and vary their Kettlebell Instructor knowledge. The increased knowledge gained will enable the instructor to deliver more varied and advanced Kettlebell sessions. This entry was posted in Events on 2nd June, 2015 by Craig Fleming.